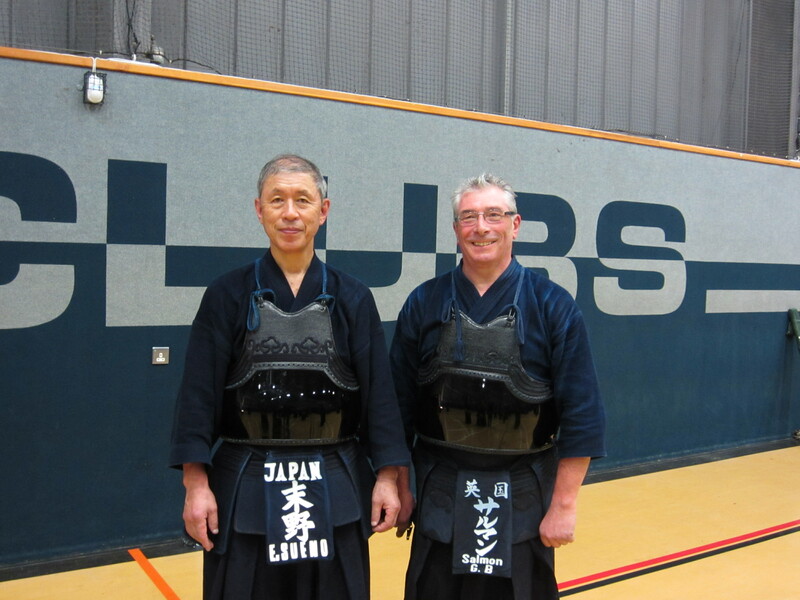 During his recent UK seminar, Sueno sensei made the point that “ kote attack should be in a straight line”. Sumi sensei backed this up during his visit last week and Chiba sensei has certainly said more or less the same thing. 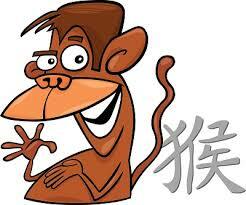 So why, when we get back to our normal hanshi free keiko, do people revert to hitting kote from a variety of odd angles. 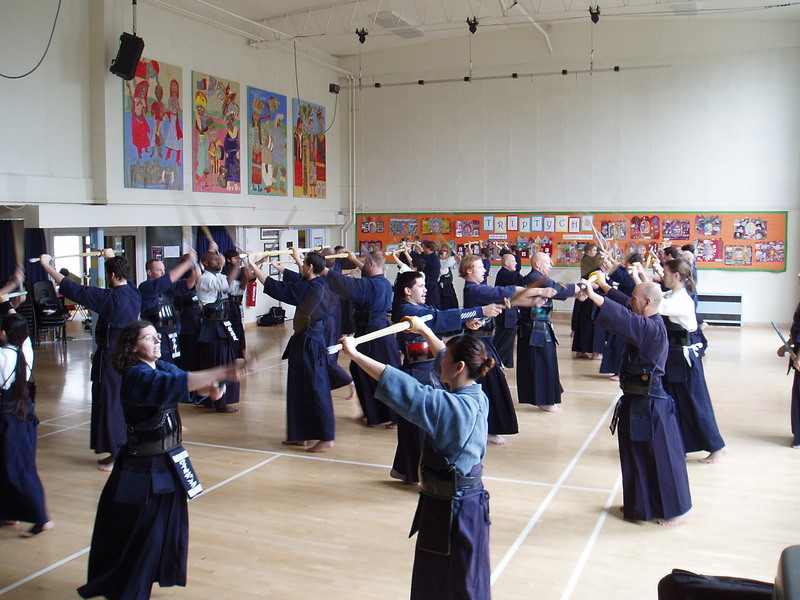 Beginners in particular tend to stand directly in front of their opponent and move the tip of the shinai to their left to attack kote. This has the effect of diagonally cutting across the soft tsutsu part of the kote rather than making a correct hit on the kote buton. The other common mistake is to rotate the shinai under the kote which leaves the left hand too low to make a correct strike. The key point to bear in mind is that when we talk about cutting direct from our centre to the target, it does not mean the centre of our body should be directly in line with the centre of our opponent’s body. It means that the centre of our body should be in a straight line with the target we are striking, be it men, do, or kote. A useful tip for striking kote is to move your right foot over as you make the kote attack so that it lines up with your opponent’s right foot, rather than his left, which would be the correct position from which to strike men. 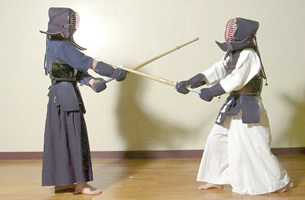 By doing this, your body is facing the target, although you are now positioned slightly to the left of your opponent. Your shinai should be in a straight line, from your left hand, which should be in front of your navel, to your partner’s kote. 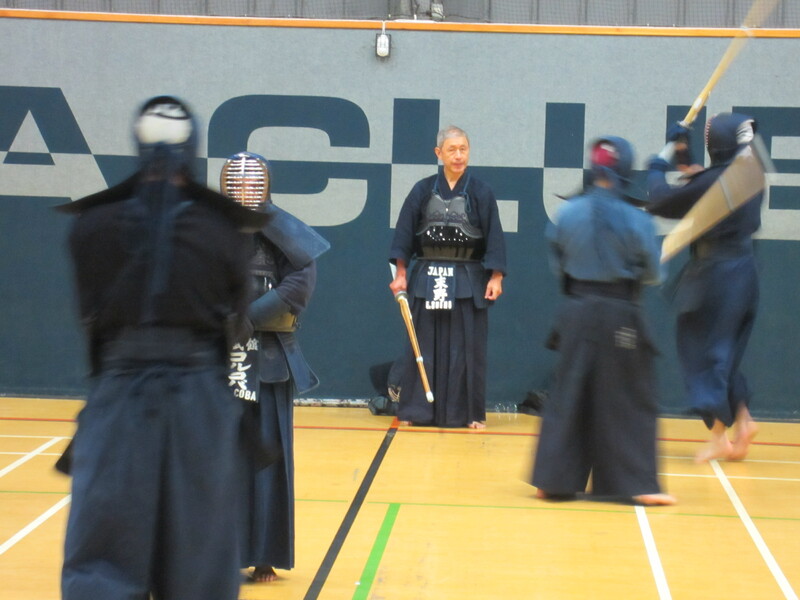 Another thing to remember is that when you move from the centre to hit kote, you only have to move above the height of your opponents shinai tip and no more than the width of his shinai to the left. With this in mind it is tempting to leave your left hand in place and just use right hand power to make the attack. This is wrong! Your left hand should do the bulk of the work and the right hand just keeps it on course and squeezes gently with equal pressure to the left hand to make tennouchi on impact. A final caution! You only need to cut through the thickness of your partner’s wrist. So the force of the attack should be forward. As Sumi sensei once eloquently put it “like a chameleon’s tongue coming out to catch a fly”.